Venue: Motorpoint Arena Cardiff, Cardiff. Delegate rate is £37 + VAT. Full-time Student rate is £12 + VAT (you will need to bring your student ID). We offer complimentary tickets for service users and their unpaid carers. Please email info@pavpub.com if you feel you are eligible. 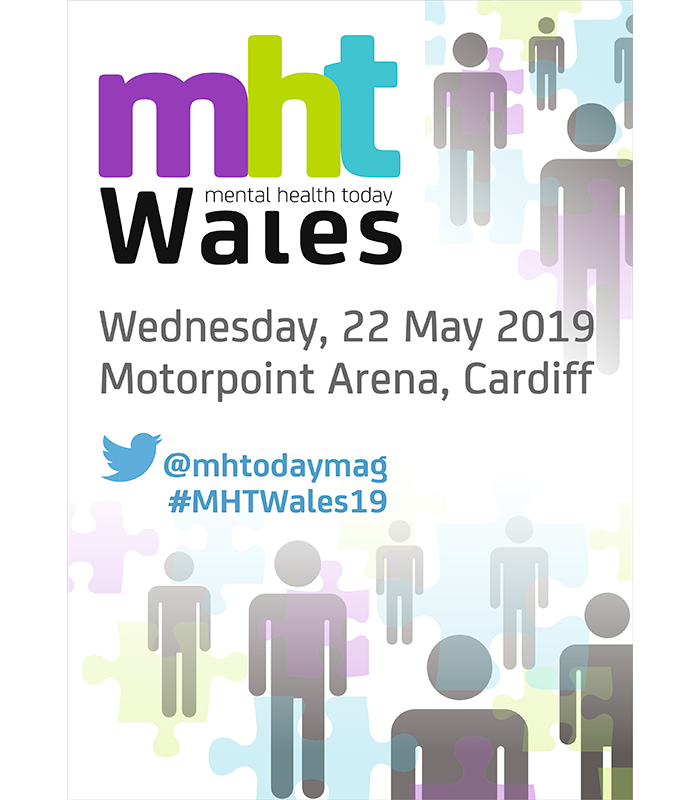 Mental Health Today Wales 2019 (or MHT Wales 2019) is a CPD-certified event for professionals and service users from different mental health sectors. The event’s aim is to help and encourage progress in mental health services. We will do so by provoking discussions, improving knowledge and, above all, championing the voices of those who aren’t often heard. You will spend the day with key thought-leaders in mental health, as they address today’s most competitive challenges. 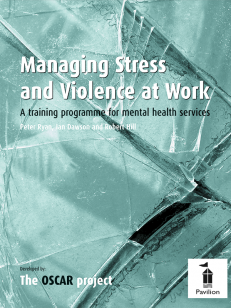 Most importantly, you’ll go home with new insights and strategies that will help improve crisis care, better understand equality and diversity, and recognise mental health conditions. Policy and Practice – Room 1. 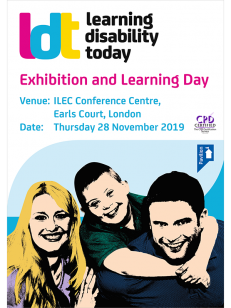 Children and Young People – Room 2. Mental Health Disorders – Room 3. Check back here for updates on seminars and speaker confirmation! Or why not sign up to our newsletters? Room 1: Policy and Practice. 10.00 – 10.30 Keynote Address: Future of Mental Health Care in Wales – 10 Year Plan Update and the New MHA. Room 2: Children and Young People. Room 3: Mental Health Disorders. Andy Bell has been with the Centre for Mental Health since 2002. Previously working for the King’s Fund, he began as Director of Communications, becoming Deputy Chief Executive in 2009. He is a member of the Mental Health Policy Group and was chair of the Mental Health Alliance between 2006 and 2008. Andy has carried out research on the implementation of national mental health policies and on local mental health needs assessments. He writes a regular blog on mental health policy for the Huffington Post. Dr Lucy Johnstone is a Consultant Clinical Psychologist, and the author of ‘Users and Abusers of Psychiatry‘. She is the former Programme Director of the Bristol Clinical Psychology Doctorate and was the lead author of ‘Good practice guidelines on the use of psychological formulation’. Lucy has worked in Adult Mental Health settings for many years, most recently in service in South Wales. Furthermore, Lucy was the project lead for the ‘Power Threat Meaning Framework’. Finally, Lucy Johnstone is an experienced conference speaker and lecturer. She currently works as an independent trainer. Andrea Gray is the Mental Health Development Lead for Wales within the 1000 Lives Improvement team in Public Health Wales. Her role is to provide professional and policy advice to the Welsh Government and to support policy implementation and service development and improvement within the health service, local authorities and partner agencies. Previously she worked in Welsh Government as the Mental Health Legislation Manager, with responsibilities which included the ‘Duty to Review’ the Mental Health (Wales) Measure 2010 and revising the Mental Health Act 1983 Code of Practice for Wales. Andrea qualified as a probation officer and social worker in 1988 and has worked in London and south Wales. She qualified as a systemic and family therapist in 2001 and this theoretical framework continues to influence her thinking and practice. Her particular interests include how we create accessible and appropriate mental health services as well as developing the centrality of the therapeutic relationship. Andrea is committed to using data to inform and drive service improvement and how what matters to service users, their families and carers must be at the heart of both the design and implementation of mental health and learning disability services. Bethan Rees is the Marketing and Communications Manager for City Hospice in Cardiff. She was officially diagnosed with Borderline Personality Disorder in October 2017 after suffering from a breakdown. Bethan has struggled all her life with her mental health but now speaks openly about her experiences as a Time to Change Wales Champion and a Mind Cymru Media Volunteer. She has written for websites such as Time To Change, Mind, WalesOnline, The Independent, The Huffington Post and BBC Wales. She also has her own blog, My Anxiety Matters. Louise Clarkson, Head of Children and Young People’s Programmes at MIND. Louise joined MIND in September 2017 to drive forward their work with Children and Young People (CYP) across England and Wales. Louise previously worked for a local MIND as the Children and Young People Services Manager. Louise brings over 8 years of experience of working directly with children and young people, managing multiple services focusing on early intervention and prevention and influencing children and young people mental health provision at a local level. Louise has been working alongside children and young people and colleagues locally and nationally to develop MIND’s children and young people strategy starting with developing a Whole School Approach to Mental Health programme. Abbey Rowe, Whole School Approach Project Coordinator – Newport Mind. Abbey joined Newport MIND in October 2017 as an Adult Community Wellbeing Worker before moving to the Children, Young People and Families team to develop the peer-led support strand of MIND’s Whole School Approach to Mental Health test and learn phase. Abbey is now coordinating the roll out of the Whole School Approach pilot project across 4 secondary schools in Gwent this academic year. Abbey was a secondary school teacher for 4 years before making the decision to dedicate her experiences to the development of support services for the mental health and wellbeing of secondary school students, staff, parents, caregivers and the wider school community. Candice Lloyd is a highly experienced trainer and passionate advocate of trauma informed practice. Working with young people and families experiencing complex needs for nearly 10 years in both local governments and in the third sector. She is currently leading the delivery of the StateofMind project, providing training and support to young people aged 15-25 who are dealing with Mental Health challenges. Candice is also an accredited ACE’s trainer, working with the Welsh Aces Hub to promote awareness to organisations across Wales. Siobhan Parry. In her role as Young People’s Project Manager, Siobhan is responsible for overseeing the day to day management and direction of the StateofMind project for young people. The StateofMind project provides recovery-focussed interventions to enable young people to develop resilience and personal responsibility, to self-manage their wellbeing and live fulfilled meaningful lives. Siobhan has experience working with children, young people and families with complex needs and has managed community and wellbeing services. Siobhan has a degree in Psychology and a Master’s Degree in Abnormal and Clinical Psychology from Swansea University. She has also completed additional training in Leadership and Management and is a qualified Independent Domestic Violence Advisor. Who will attend Mental Health Today Wales 2019? Would you like to exhibit at Mental Health Today Wales 2019? Are you looking for sponsorship or other promotional opportunities? Get in touch with Graham Hoare by email graham.hoare@pavpub.com or call 01273 434938.